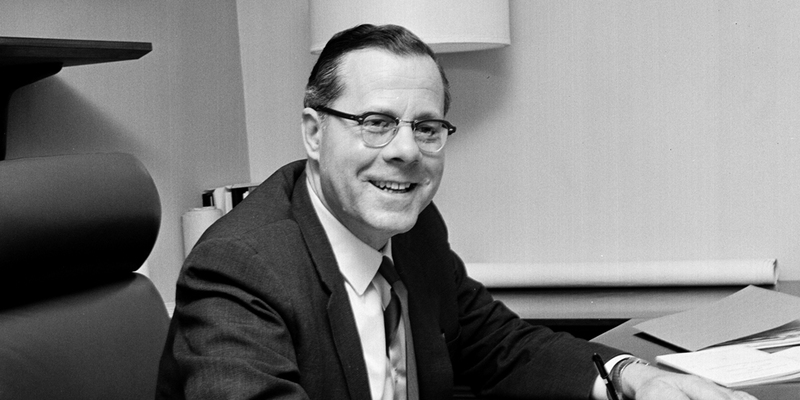 Dr. Ralph W. Ruffner, senior vice president for planning and review at SIUE, briefly assumed the role of acting president on October 14, 1976, following the resignation of Acting President Andrew Kochman. Ruffner had first joined the system as vice president for area and student services effective September 10, 1964. A World War II veteran who left the Army with the rank of lieutenant colonel, Ruffner had served in Paris from 1962 to 1964 as U.S. deputy permanent representative to UNESCO and as a first secretary at the American Embassy there. Ruffner served briefly as acting present of SIUE until January 17, 1977, when Kenneth “Buzz” Shaw assumed the presidency. Ruffner formally retired from SIUE effective September 1, 1978.